Summers are kind, but only to your wardrobe. Florals and fluorescents make a smashing comeback and jeans and pants pave way for skirts and shorts. 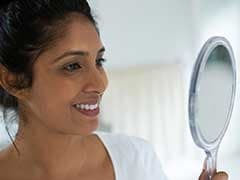 But when it comes to your skin, summers are the biggest threat, especially if you live in India. The dry, humid heat leaves you with stretchy, leather-like, patchy skin, and huge pores. So give your skin the care it truly deserves. 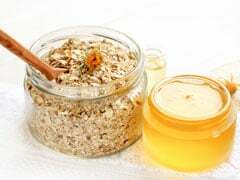 Here are some tips, tricks and home-made remedies that will give your harsh and dull skin an instant uplift. A good sunscreen isn't just needed during the summer. It's supposed to be used all year round, even during the monsoon. According to World Health Organisation (WHO), there are three types of Ultra Violet (UV) radiation. While the most harmful of them all doesn't make it past the atmosphere, you're left with UVA and UVB. UVA accounts for approximately 95 per cent of radiation reaching earth. It can penetrate into the deeper layers of the skin, is responsible for the immediate tanning effect and could cause long-lasting damage. UVA rays remain just as strong through winters, as in the summer. So using an effective sunscreen comes highly recommended by all dermatologists. It doesn't just protect your skin, it decreases your chances of getting skin cancer, gives you smoother and healthier looking skin. 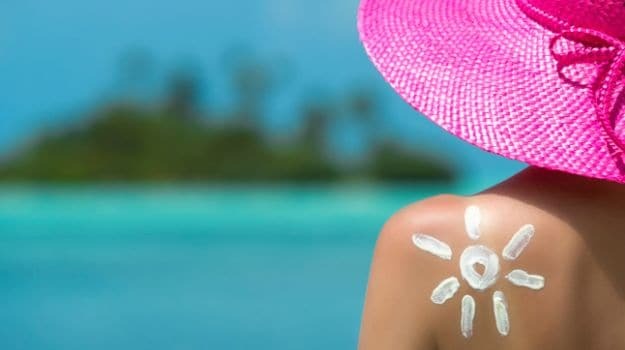 Use a waterproof sunscreen with at least a 30 SPF (sun protection factor) for protection from sun's UVA and UVB damage, sun burns, premature aging and skin cancer. For oily skin, used a gel-based sunscreen, and those with combination and dry skin should use a sunscreen moisturiser with mat finish if putting make up on after. Or else a cream based which gets absorbs well without leaving a residual layer. Always make sure to change your brand of sun screen every 6 months. It's important to exfoliate your skin in summers to remove dead skin and open pores. Use a scrub once or twice a week but pick one which suits your skin type. If you have acne prone skin then use a lot of multani mitti (fullers earth), chandan (sandalwood), rose water and basil. If you've got dry matured skin then use egg white, lemon, chandan (sandalwood), curd with a pinch of turmeric and besan (gram flour). You can also exfoliate your skin with a mix of maida (all-purpose flour) and sugar. Use it on areas like feet, knees and elbows, where you struggle with hard skin. Even though it's hot, your skin still needs to be moisturized. Try and find a water-based moisturizer if you have a normal skin-type. For oily skin, use gel-based moisturizers and for extra oily and acne-prone skin, stick to facial sprays with minerals. If you think all those extra bottles of serum, cleansers and toners are a waste of space, and want to go au naturale, then here are a few more tips that'll help. 1. Shower twice a day, once in the morning and once in the evening. This is very helpful especially when you're prone to skin allergies. Mosquitoes, bees and ants are very common in the summer and their bites feel itchy through the day. Having a shower twice in the day can help treat them. And in some cases, it can also help ward off mosquito-borne diseases. 2. Natural moisturziers like glycerin and rose water can be added in your bucket or bath tub before you have a shower. You can also apply cold curd for 10 to 15 minutes on all dry areas of your body. 3. Drink plenty of water and keep yourself hydrated. Don't wait to drink till you're thirsty. Instead, keep drinking water through the day. Tea and coffee also count. 4. Include fruits and vegetables that have high water content. Watermelons, cucumber and coconuts prevent dehydration from within. Also avoid heavy and spicy food because they increase body heat. 5. If you're going for a swim, apply sunscreen at least 20 minutes before getting into water. It'll reduce the impact of sun burn, rashes, blisters and allergies. 6. If you get a severe skin rash, apply a cream that's made with aloe vera extract. You can also use ice-cool yogurt after washing the rash or burn in cold running water. 7. Put a pinch of salt in water and then dip your hands and feet. This will boost blood circulation. Finish by applying cream that's rich in urea and Vitamin C.